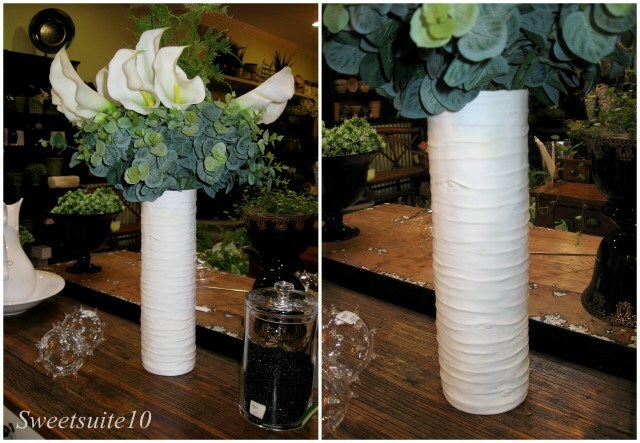 The price: $100 is a lot of money for a vase. I NEVER buy myself flowers, so having a vase is pointless - I'd be relegating the poor thing to a life of unfulfilled purpose, and that's just mean. My dining room is FAR from finished. Buying accessories for a unfinished room seems silly. I'll just have to continue to admire it from afar, and hope that the store has a 'One day - 80% off sale'. It could happen - right? OMG! I just read this today and then read your post! Thanks for the heads up - I’ll definitely consider it!